Sheerazade is made with glittering gold mesh and deep purple velvet that gives it a really luxurious feel. 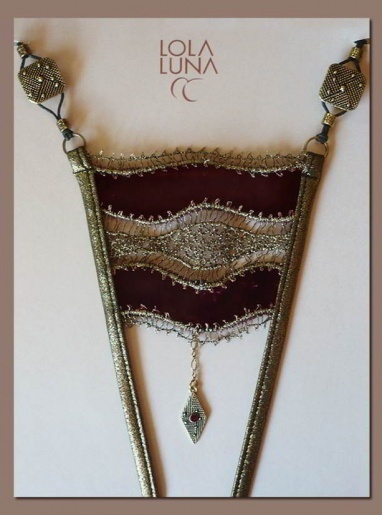 This luxury g string has gold plated attachments including a diamond shaped pendent with dark amethyst coloured crystal inset. The elasticated straps are also shimmering gold and the back section is a small triangle of gold mesh and purple velvet. Fast despatch from UK based stock. Hand wash to keep your Lola Luna string looking like new for longer.